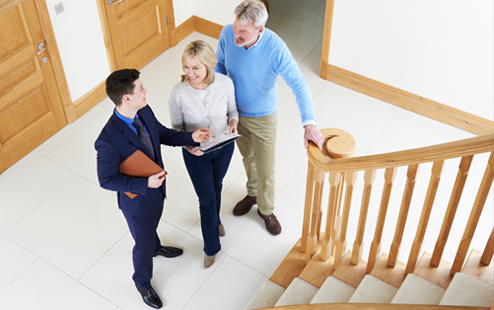 When selling a property your solicitor may require a map in digital format, certified by an engineer. This map will clearly outline the boundary of the property and certify the area within that boundary.These maps are generally required for land registration purposes when property is being sold. Our engineer will go on-site and conduct a survey of the property. Based on this survey he will be in a position to transfer his measurements onto a digital map and provide you with certification of the boundary and area. When selling a property you may be legally required to provide proof that the original building or any subsequent extensions or modifications to that building are in compliance with the planning laws and building regulations that applied at the time of construction. Compliance can only be certified by a Chartered Engineer or by a Qualified Architect. A Building Energy Rating or BER is similar to the energy label on your fridge with a scale of A-G. ‘A’ rated homes are the most energy efficient and ‘G’ the least efficient. The BER is only an indication of the energy performance of a house. It does not include electricity used for purposes other than heating, lighting, pumps and fans. If you wish to improve the energy efficiency of your home we offer energy audits and consultancy. Our qualified experts will assess the current energy performance of the house or building by carrying out a detailed survey and gathering information on the following: construction and insulation of walls, floor and roof; windows and doors; ventilation; space heating; water heating; lighting, electricity usage; renewable energy options; extensions and attic conversions. This information will then be put into special software to calculate the energy rating. This rating will then be published on Sustainable Energy Ireland website and you will receive a BER Certificate. A comprehensive report specifically for your home detailing practical actions that can be taken to improve the energy efficiency of the house will be accompanied with the BER Certificate. We can also project manage any works that you may wish to carry out as a result of the BER survey. We carry out surveys and issue fire safety certificates where required. We also advise on what work is required to acquire fire safety certification. We carry out surveys and issue disabled access certificates where required. We also advise on what work is required to acquire disabled access certification.